Seeing the name Dan Kelly on a tournament registration sheet may not catch the eye of the common man, but to those who know, Kelly is one of the best poker players in the game and he name means business. Kelly, who turned 21 on March 10, 2010, will be making his way to the World Series of Poker for the first time this year and if his past record says anything about his chances, you can almost bet on the fact that he’ll be leaving the WSOP with some new jewelry. 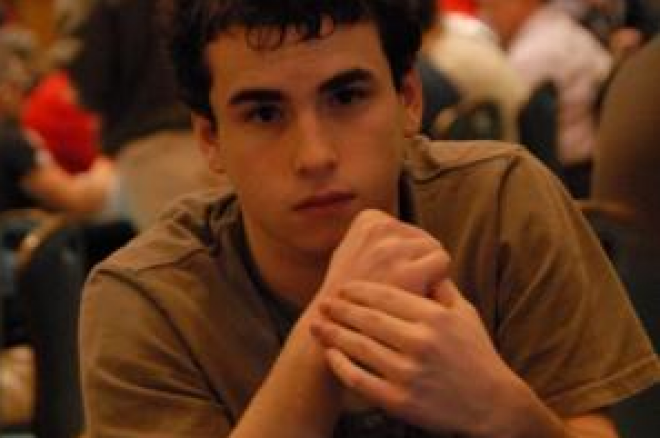 Known primarily online as “djk123” on PokerStars and “imabigkidnow” on Full Tilt, Kelly has crushed the game for many years now. He has over $3.2 million in prize money in PokerStars and nearly $1.5 million of that is profit. On Full Tilt, his prize money surpasses one million, as well. That doesn’t include the other sites he plays on and destroys on a regular basis, as well. Kelly holds two WCOOP wins, having won the $215 Razz event in September 2009 for $53,410 and then just a couple weeks later the $10,300 H.O.R.S.E. High Roller event for $252,350. The same day that he won H.O.R.S.E. High Roller event, Kelly placed fourth in the WCOOP 2-Day Main Event for a whopping $643,200. Those results netted him player-of-the-year honors for the 2009 WCOOP. And if that’s not enough convincing for you, Kelly also holds a gold FTOPS jersey from November 2008 when he took down Event #14 for $104,870. Moving from the virtual felt to the live felt, Kelly has also had some success in that realm. In August of 2007, Kelly cashed in three events at the Empire State Hold’em Championships held at Turning Stone Casino for around $25,000. That casino allows you to gamble at the ripe age of 18, which allowed Kelly the right to play. He has also cashed in a side event at the PokerStars Caribbean Adventure in 2008 for $35,680 and at the WPT Spanish Championship the same year for $11,818. There’s not just an intelligent poker mind that the youngster holds; Kelly studies Mechanical Engineering at Villanova University. It’s amazing that someone so young can juggle such a tough course of study in college and still find time to focus on the felt. Kelly’s known for having one of the most brilliant poker minds around. One of his most famous discoveries in poker came when he proved that some shoves could be deemed as “unexploitable” by your opponents. Everyone at the WSOP should be on the look out for this youngster who will be seen mostly behind a tower of chips controlling the table in a tournament or knocking heads with some of the best players in the game in the large side action available during the summer in Vegas. Whether it’s tournaments or cash games, Kelly is a monster and can mix it up in any game with the best of the best. Our guess is that he’ll be chasing every poker player’s dream — a gold bracelet -– and won’t be looking to come home empty handed.